Below you can view all the homes for sale in the Meadowlake subdivision located in Dunwoody Georgia. 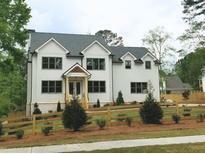 Listings in Meadowlake are updated daily from data we receive from the Atlanta multiple listing service. To learn more about any of these homes or to receive custom notifications when a new property is listed for sale in Meadowlake, give us a call at 404-998-4097. Large Level Lot W Gorgeous Fenced Backyard W Patio And Pergola*Upgraded Kitchen W Stainless Steel Appliances Opens To Fireside Great Room & Living Room*Guest/2nd Master On Main*Mud/Laundry Room W Barn Door*Large Master Suite W Walkin & Elegant New Bath W Dual Vanities & Large Steam Shower*2nd Bath Newly Renovated*Huge Bonus Room Expansion W Private Stairs Is Perfect For Media/Play Room Or In-Law Suite*Walk-In Closets Thruout*Daylight Basement With High Ceilings*Excellent Move-In Condtn! MLS#6525525. Karen Cannon Realtors Inc.
To Be Built & Customizable W Local Quality Builder*Fresh Timeless Design, 10' Ceiling & Fab Indoor/Outdoor Living*Elevator Capable*Front/Rear Covered Porches*2 Masters/Guest On Main*2 Laundry*Large Mudrm*1000 S F Media/Play Room*Top Of The Line Materials W Cust Cabinets, Wolf Appliances, Spa Master W Custm Closet Sys & More*Incredible Kitchen Opens To Great Room W Exposed Beams*3 Car Garage*Walkout To Pvt Level Yd Ideal For Pool*Walk To Vanderlyn/Dunwdy Hs*Estab Lake Community In Walking Distance To Shops/Dining MLS#6504735. Karen Cannon Realtors Inc. 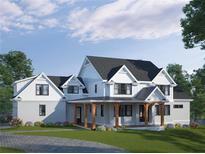 This Gorgeous Modern Farmhouse Is Exceptionally Built & Designed For The Ultimate In Indoor/Outdoor Living*Spac rooms, 10’Ceiling, Exposed Beams, Mudrm, Laundry Up & Guest Suite On Main*Stunning Bright Kitchen W Therm Appliances & Huge Island Opns To Great Room & Covered Porch, Deck & Large Level Yard*Coverd Front Porch*Exquisite Master W Lux Elegant Bath*Day Basemnt Stubbed*Popular Lake Communty*Short Walk To Schls, Shops, Places Of Worship*Can Still Customize! MLS#6125841. Karen Cannon Realtors Inc. Buyer To Pick Selections From Design Center! MLS#5977314. Keller Williams Realty Metro Atl.